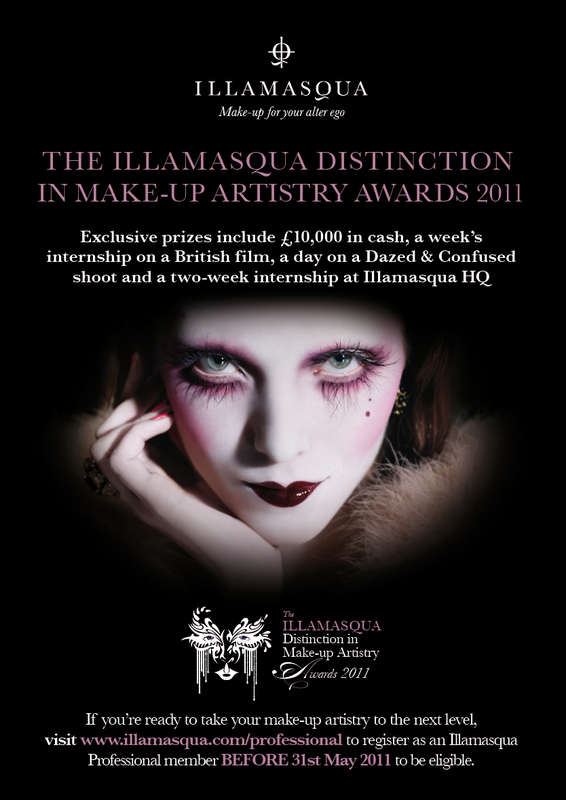 Distinction in Make-Up Artistry Awards…extended dates due to phenomenal demand! 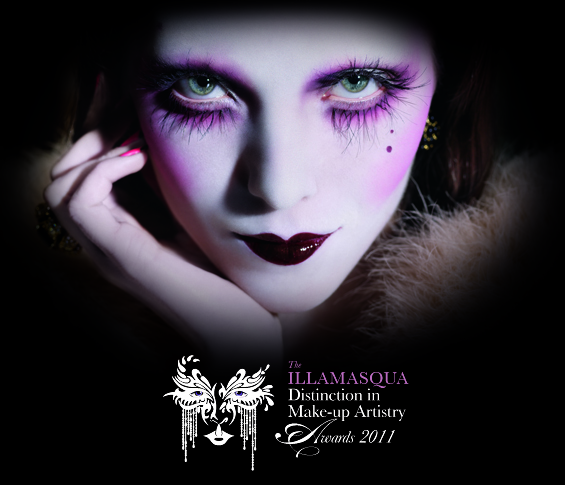 On the 1st April 2011 we announced the launch of The Illamasqua Distinction in Make-up Artistry Awards 2011 – the biggest prize in professional make-up art. Today we have some very exciting news to bring you…the registration date has been extended to 31st July 2011 due to phenomenal demand and on feedback from colleges & the student community to allow all those of you who haven’t had time to enter yet due to your course studies to apply! So make sure you sign up to be in with the chance of launching your career and having your talent recognized and celebrated with some amazing prizes! If you are a student or recent graduate of make-up artistry, the Awards give you an unequalled opportunity to make your mark in front of our esteemed judging panel, including Academy and BAFTA award-winning make-up artist and hair designer, Christine Blundell and Dazed & Confused Senior Fashion Editor, Katie Shillingford. 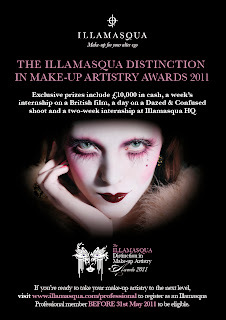 To enter, you must be registered as an Illamasqua student member at Illamasqua.com/professional; visit the Illamasqua Professional website for more information and to sign up. The final registration date for eligibility for the Awards has now been extended to 31st July, however you have until 26th August to dream up and create your award-winning looks. To enter you must create two pieces of original make-up art – one fantasy, and one beauty look – and submit them alongside the Awards application form. View our Distinction in Make-up Artistry Awards page to discover more about the jaw-dropping prizes on offer and to learn how you can show the world what you’re made of!